The old loafers and layabouts never saw it coming. Last week one of the grandest trees in the Upper 9th Ward was professionally taken down by a group of arborists using high dollar, fancy machinery. The tree, diagonally across the street from Poppa’s Seafood, was magnificent. It also provided shelter to the group of drunks and loafers who gathered underneath it daily. It was a gathering spot for neighborhood gossips, transients, chess players, pensioners and people who just generally had extra time on their hands. 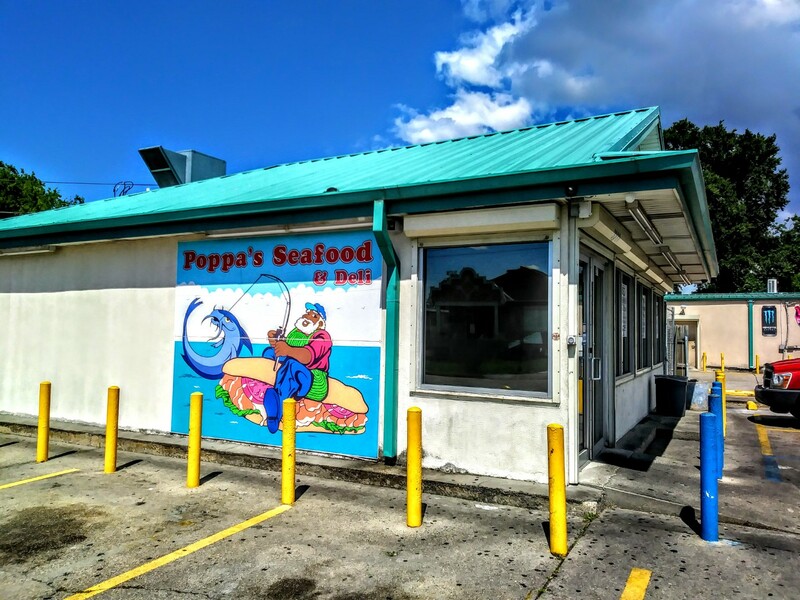 Poppa’s Seafood saw plenty business from the layabout contingent. They’ll still do fine with the loungers dispersed to the four winds. Poppa’s opens bright and early at 7:30 am and starts putting out .99c breakfasts for the neighborhood. That dollar bill will get you an egg with grits, toast and sausage. 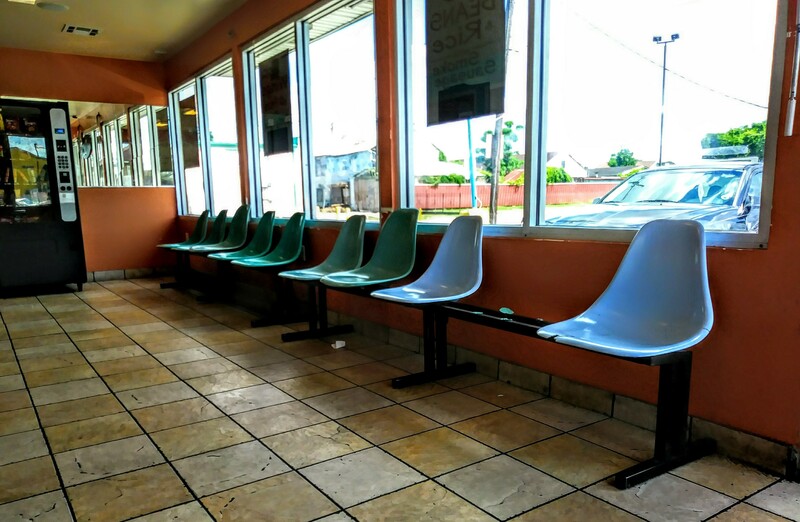 It’s the cheapest breakfast in New Orleans. Come lunchtime the kitchen crew swings over to hotplates and fried chicken. A recent visit found the fryer man firing on all cylinders. “You gotta keep the fat hot!” exclaimed one man who was on queue with us. “They keep it hot and clean here man….get at them wings!” he further proclaimed. 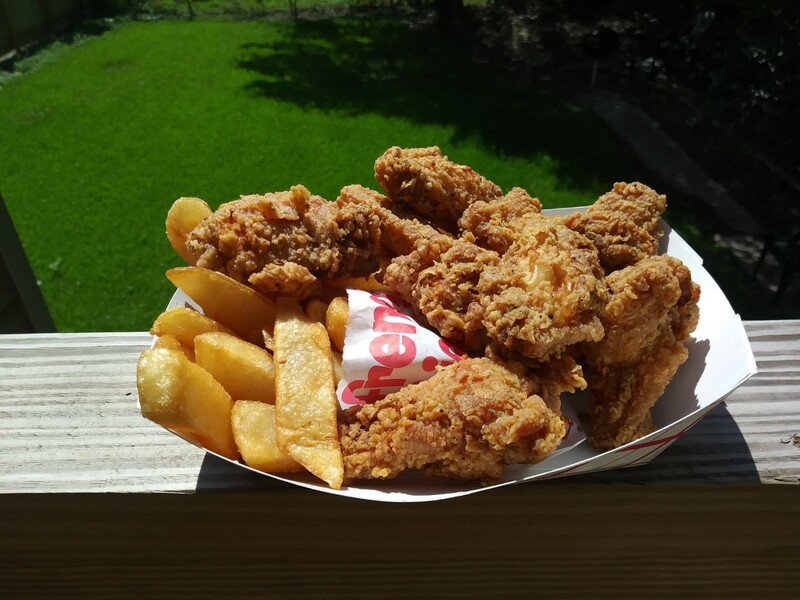 Eight fat wings, a side of steak cut fries and a brown and serve roll clock in at under $7. The brawny, flour-crusted fried chicken is shot through with salt and black pepper. It’s cooked to an ethereal crunch and is served virtually grease-free. It’s some of the finest fried chicken served in the 9th Ward. Poppa’s is open 6 days a week.